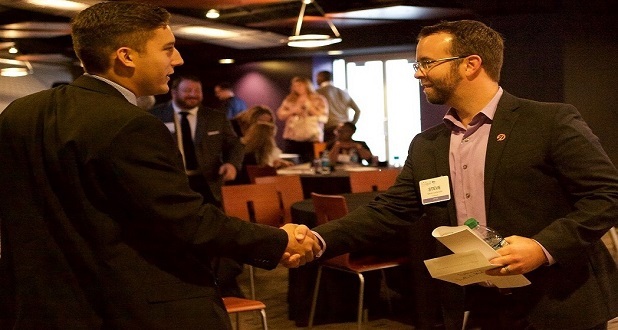 Following a successful pilot program, the MACPA is expanding its Mentor Program this fall. Mentoring programs are one of the key instruments in the talent development toolkit. They are particularly valuable in recruiting students into the CPA pipeline and retaining them in roles that increase in value for them and their employers. New entrants at CPA firms and in finance roles appreciate the opportunity to leverage the learnings and advice of more seasoned professionals, who appreciate exposure to those who have literally grown up within arms reach of mobile devices and the Internet. “The MACPA mentorship program helps you establish meaningful relationships with other members by making it easy and fun for both parties,” said Rebekah Brown, the MACPA’s manager of membership engagement and development. Amy Stumme, a certified professional co-active coach, facilitated the inaugural event of the program, which featured insights from seasoned mentors about what makes a successful mentor relationship. The event also provided an opportunity for the newly matched mentor / mentee pairs to meet. “Participants were encouraged to attend MACPA events together, but ultimately the structure of the relationship was up to each pair,” said Brown. In-person meetings, virtual meetings, e-mails or texts — anything was possible as each pair decided what worked best for them. The MACPA surveyed participants throughout the pilot program and reconvened the full group in June to help guide next steps for the formal launch of the program. “Whether as a mentee or a mentor, you can expect to grow in your career and develop a network of impact,” Brown said. 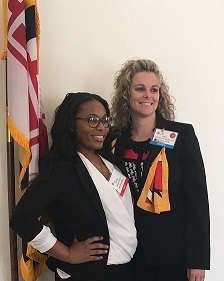 Incoming MACPA Chair Samantha Bowling, a Partner at Garbelman Winslow, CPAs pictured with her mentee, Randi Reed of CliftonLarsonAllen, has been a guiding force behind the MACPA’s Mentoring Program and other diversity, equality and inclusion initiatives. The goal of the Mentor Program, said Bowling, is to provide a framework and network where mentors and mentees can connect. There was greater interest from mentees, and it was harder to find mentors in the pilot phase. This was not a surprise, said Bowling, and was one of the reasons the MACPA decided to launch a Mentor Program. Participants welcome the flexibility offered by the program, with each pair deciding what works best for them in terms of ongoing communication. New participants who wish to be considered as mentors or mentees can apply here to be considered for the 2017-18 year. The application deadline is Friday, Oct. 6. The program is only open to MACPA members. Learn more about MACPA membership. The program commitment is for one year (from October through June). Participants can apply again each year and asked to be matched with their current mentor/mentee, or to request a new match. “They can of course continue the relationship on their own but it won’t be part of the formal “program,” said Brown. A meet-and-greet welcoming event for new and continuing Mentor Program participants is slated to take place immediately preceding the MACPA’s annual “Celebrate the Profession” event, the swearing-in of newly licensed CPAs, on Nov. 16.